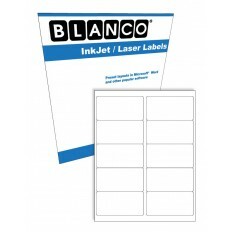 Looking for Avery compatible laser and inkjet printable label sheets? BLANCO specializes in offering Avery compatible sheeted labels for use in laser and inkjet printers. Our self-adhesive labels are affordable and perfect for many applications. 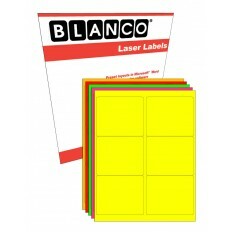 In addition to general purpose labels for shipping, mailing, product or packaging, BLANCO offers weatherproof laser sheets, fluorescent color labels and rectangular, circle and square shapes. Our label sheets have a border on the edge to make label removal easy. Our full sheet labels work with preset software templates.